Browse through many of our great hotel deals!! 4 Star TRH Paraiso from as little as €98 per night. 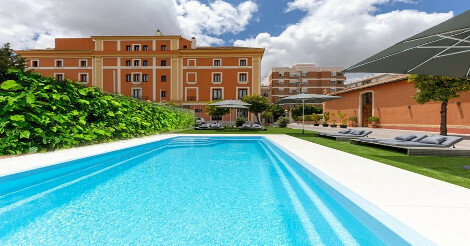 The 4 star TRH Paraiso offers a modern base when visiting Estepona in Malaga. 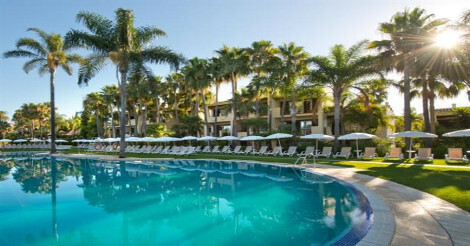 TRH Paraiso is located in Estepona and offers an indoor pool and free Wi-Fi. Its premium amenities include a sauna and a fitness centre. This 4-star hotel offers a kids club, a kids pool and 24-hour room service. Staff are available 24 hours a day and can book tours and tickets. TRH Paraiso offers bright rooms equipped with a hair dryer, plus all the necessities to ensure an enjoyable stay. 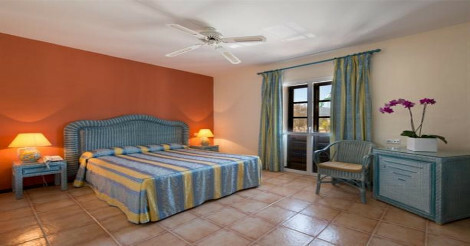 There are also several rooms especially designed for families. On-site dining options include a restaurant, which is an ideal spot to have a meal. 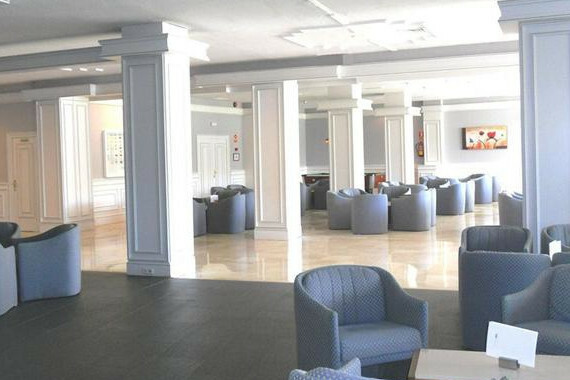 In the evening, guests are invited to enjoy a drink in the comfortable lounge bar. For those who enjoy discovering local restaurants and cafés, there is a large variety within walking distance. It is also a short car ride from Benahavis and Marbella. 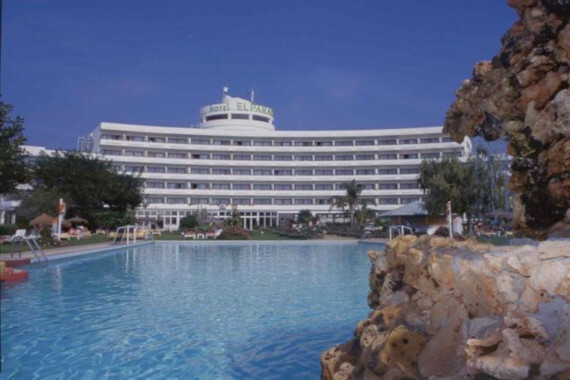 4 Star BlueBay Banus from as little as €60 per night. 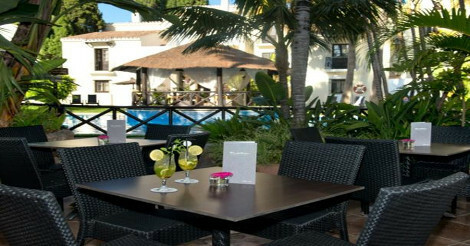 Located in Marbella, BlueBay Banus is an easy drive from Puerto Banus Marina and Plaza de los Naranjos. It has a gym, as well as a rooftop terrace, free Wi-Fi and an outdoor pool. There are a variety of facilities at the hotel, including a kids pool, facial treatments and a golf course. It also provides family-friendly amenities, with room layouts and services for families both large and small, as well as a kids club and a playground. After a day of discovering the nearby region, guests can unwind in the comfort of their air conditioned rooms. They feature wireless internet access, heating and a mini bar. 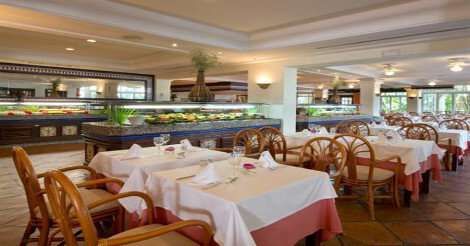 BlueBay Banus features both a restaurant and a bar where guests are able to relax of an evening. Alternatively, there is a large selection of international restaurants nearby. BlueBay Banus is within easy reach of Puerto Banus. 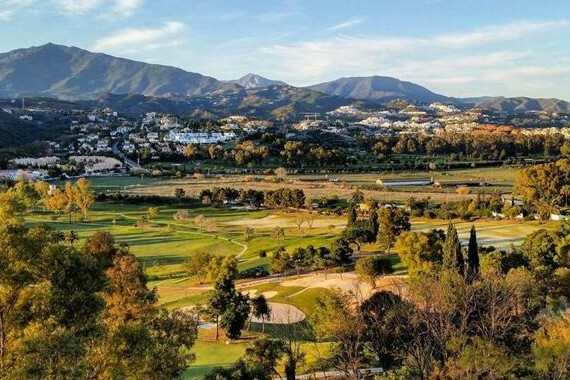 The staff at the tour desk are available to book and organise activities in Marbella. 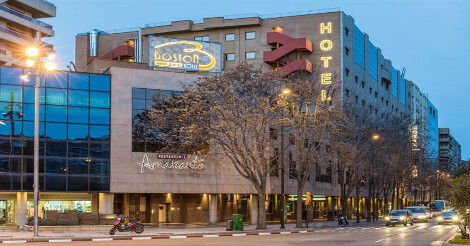 4 Star Eurostars Boston in Zaragoza from as little as €61 per night. 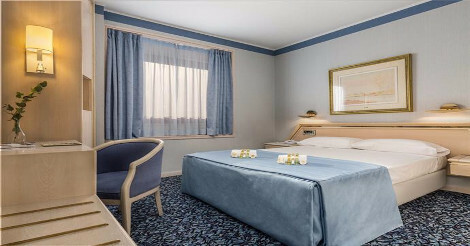 The Eurostars Boston in Zaragoza offers a comfortable and modern base when visiting the city of Zaragoza. The Conveniently located, Eurostars Boston offers easy access to Zaragoza's popular tourist attractions. It also features a sauna and free Wi-Fi. 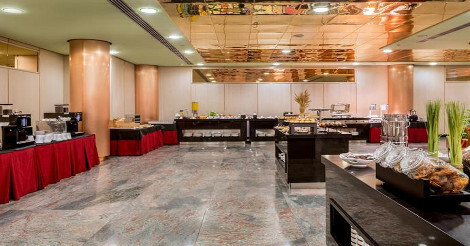 This 4-star hotel provides a coffee bar, an express check-in and check-out feature and meeting rooms. Corporate facilities include a business centre. The rooms at Eurostars Boston are air-conditioned and include a mini bar, a rollaway bed and a flat-screen TV. They provide an in-room safe, a telephone and a radio. Eurostars Boston features both a restaurant and a bar where guests can unwind of an evening. Alternatively, there is a large range of international restaurants close by. 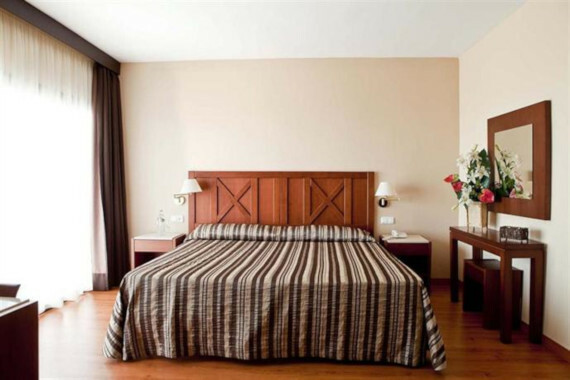 The hotel is under a 20-minute drive from Zaragoza Airport and La Seo Cathedral is a short walk away. Aljaferia, University of Zaragoza and La Romareda are only a brief drive away. 4 Star NH San Sebastian Donosti from as little as €61 per night. This relaxed hotel in San Sebastian provides complimentary wireless internet, as well as a coffee bar and on-site parking. It is ideally positioned for those wishing to visit local attractions. Guests can make the most of the outdoors on the terrace or enjoy a drink at the bar. Guests can also enjoy disabled parking. Just a stone's throw from nearby clubs and bars, this 4-star hotel also allows guests to explore the local nightlife. The cosy rooms are air conditioned and feature wireless internet access, a mini bar and an in-room safe. They all offer a bathtub, ironing facilities and heating. 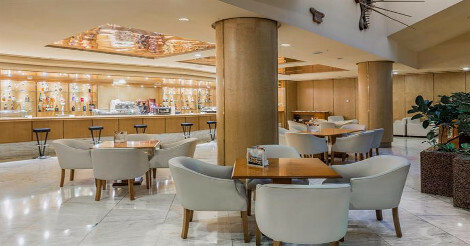 Those wishing to sit down to a meal and wanting to stay close by needn't look any further than Hesperia Donosti's in-house restaurant, which is conveniently available each day for breakfast. A wide choice of eating options are also found in the area. Hesperia Donosti Hotel San Sebastian provides easy access to the Maria Cristina Bridge, Cathedral of the Good Shepherd and Real Sociedad. The hotel's multilingual staff are available to ensure that every traveller has an enjoyable visit. 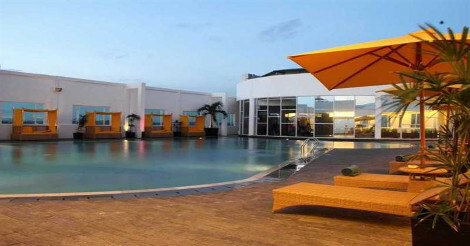 ​​4 Star Hotel Soho Boutique Jerez from as little as €41 per night. The 4 star Hotel Soho Boutique Jerez offers a modern base when visiting Jerez de la Frontera. Located in Jerez de la Frontera, Hotel Soho Boutique Jerez is within a 15-minute drive of Jerez Airport and offers a swimming pool. This elegant hotel is an ideal choice for discovering the local vineyards as it is situated in Jerez - Xeres - Sherry. This chic hotel provides a range of amenities, such as free Wi-Fi, a 24-hour reception and a coffee bar. There is also private parking on site for those with a car. After a day of discovering the nearby region, guests can relax in the comfort of their air conditioned rooms. Each provide a desk, an in-room safe and a private bathroom with a hair dryer. Those staying at Hotel Soho Boutique Jerez can relax at the in-house bar, ideally based for a drink. A selection of eating options can also be found in the area. Hotel Soho Boutique Jerez is within walking distance of Old City Hall of Jerez de la Frontera. The staff at the tour desk are available to book and organise activities in Jerez de la Frontera. Search through many of our amazing deals! Book your dream vacation with us today!